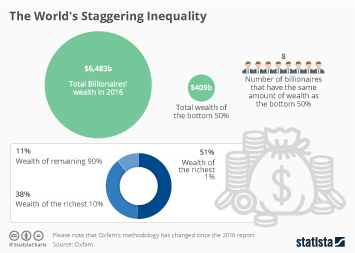 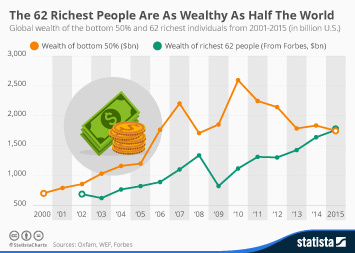 Financial inequality is steadily rising alongside global wealth, which reached a grand total of $263 trillion in 2014. 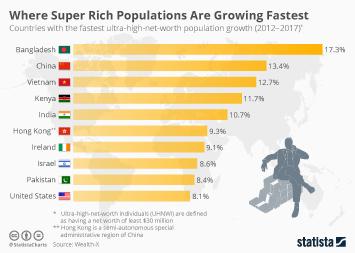 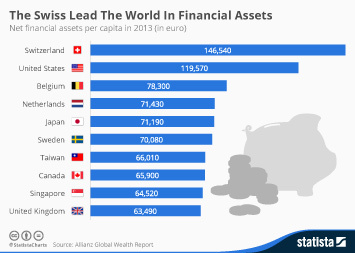 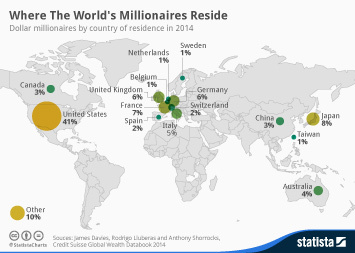 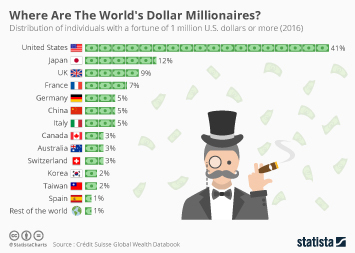 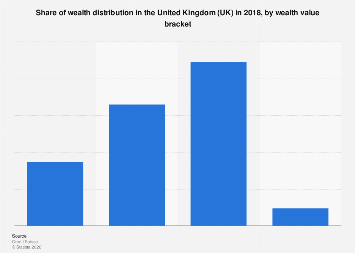 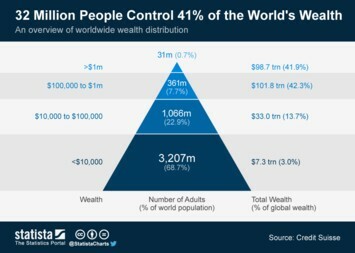 According to Crédit Suisse, people with a net worth of over $1 million represent just 0.7 percent of the planet's population, but they control 41 percent of its wealth. 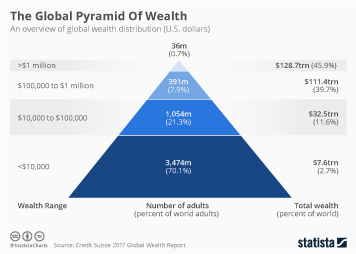 69 percent of the world's population have a net worth of under $10,000 - they account for a mere 3 percent of global wealth. 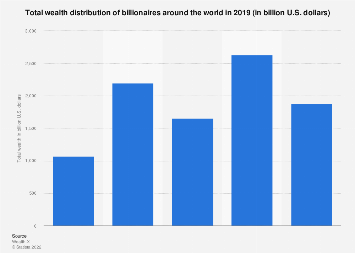 Meanwhile, 23 percent fall into the $10,000-$100,000 bracket and they control 14 percent of worldwide wealth. 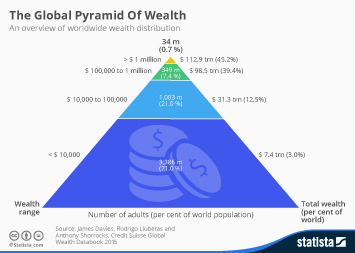 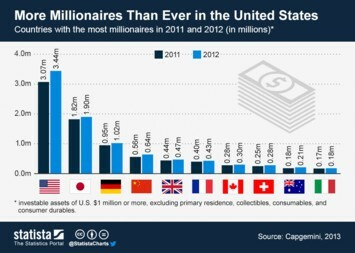 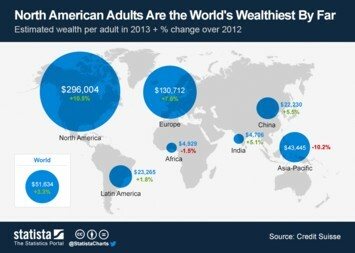 In order to be counted among the wealthiest half of the world's citizens, a person requires a net worth of $3,650. 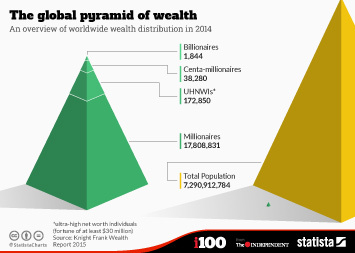 This chart shows how the world's wealth is shared amongst its population, by income group.